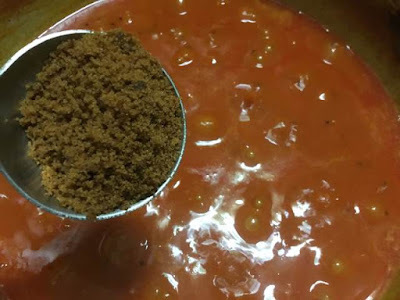 Tomato thokku - easy homemade thokku prepared with tomatoes, chilly powder, tamarind and fenugreek powder. An interestingly unique side dish for any breads and rice. 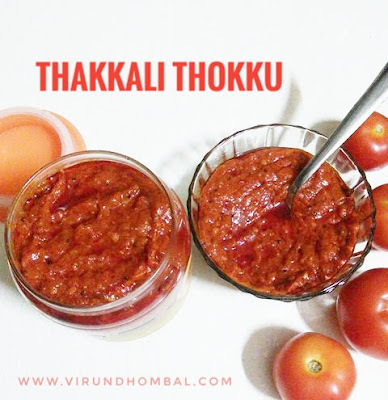 You can also use this thokku as a base to prepare tomato rice, tomato poha upma or tomato idiyappam. 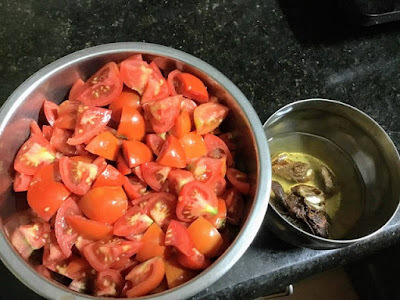 Tomatoes are evergreen vegetable, so you can prepare this whenever you want it. Like the mango thokku, this tomato thokku is also prepared by the same method, but we have to use tamarind extract for this thokku to increase the shelf life. For best tomato thokku, the tomatoes are sauted in the oil on medium heat for 20 to 30 minutes. I always prefer to cook many of my dishes on low to medium heat for perfect results. The next important point is to use heavy bottomed hindalium kadai as it retains the heat uniformly. As i told in my garlic thokku recipe, do not use iron or non stick kadai for thokku or any tamarind based dishes. It is important to stir the thokku in between to avoid burns, especially after adding the chilly powder. 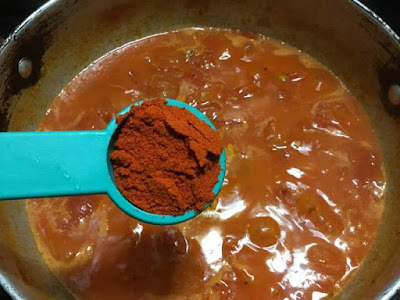 I prefer the thokku to be more flavourful, so I have added a good amount of chilly powder, fenugreek powder and asafoetida powder. You can also reduce the quantities according to your taste buds. 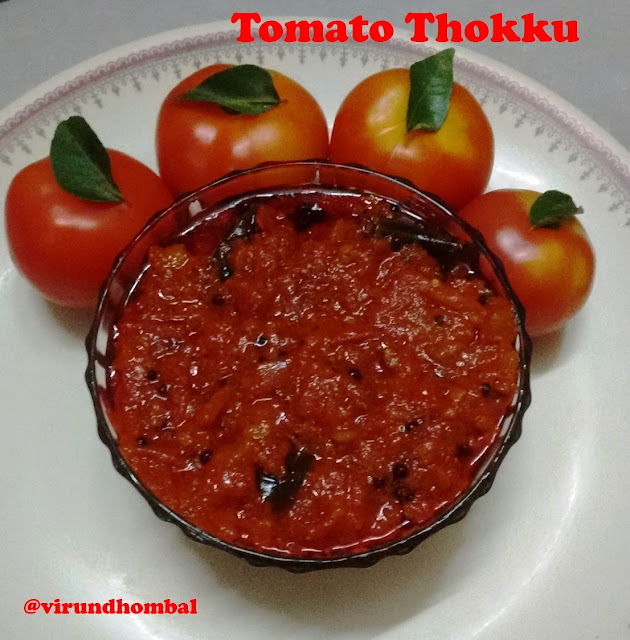 Now let's see how to make this yummy tomato thokku with step by step instructions. 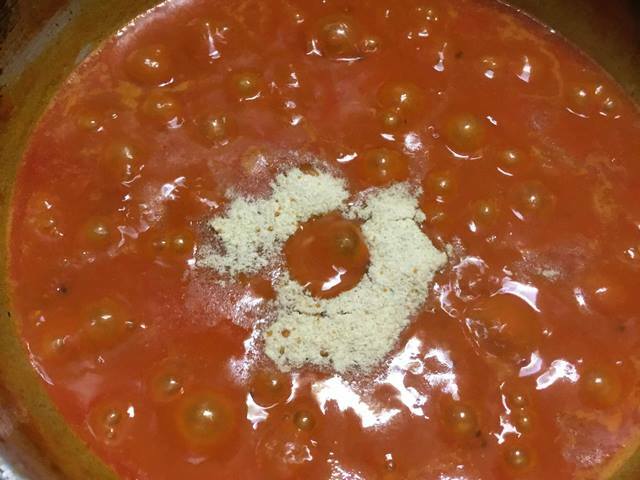 Cut the tomatoes into small pieces. Soak the tamarind in hot water for 10 minutes. Dry roast the fenugreek and powder it. Take a heavy bottomed kadai and heat the oil . Now add the mustard seeds and urid dal. When it splutters add the curry leaves. Then add the chopped tomatoes.Saute them for 5 to 7 mins. The juices will be separated from the tomatoes. Mix them nicely and cook on low flame. After 2 mins, add the chilly powder, turmeric powder and allow the tomatoes to cook completely. Add the required salt and tamarind extract. Cook them until all the water gets evaporated. Finally, add the jaggery powder, asafoetdia powder and fenugreek powder. Let them cook it for a couple of minutes and transfer it in a glass bowl or glass bottle. Serve it with chapathi, curd rice and dosas. 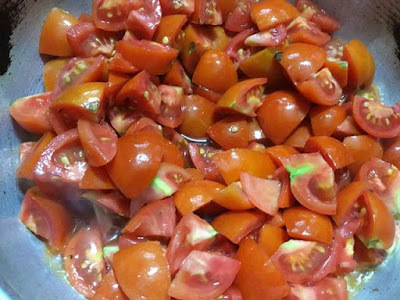 Wash the tomatoes well and cut into small pieces. Soak the tamarind in hot water for10 minutes. Dry roast the fenugreek and powder it. Take a heavy bottomed kadai and heat the oil . Now add the mustard seeds and urid dal. When it splutters add the curry leaves. 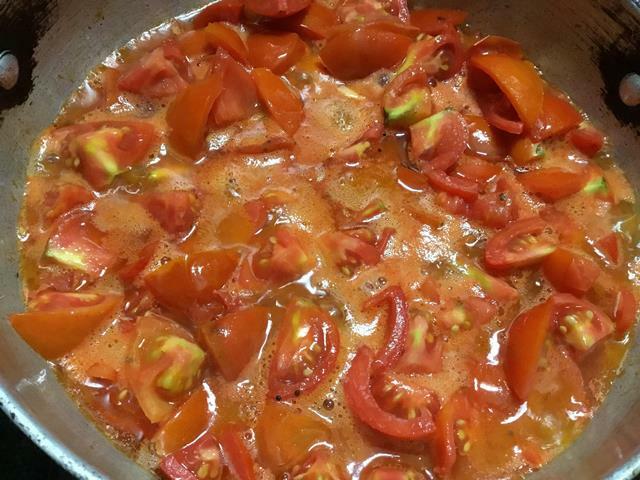 Then add the chopped tomatoes. Saute them for 5 to 7 mins. The juices will be separated from the tomatoes. Mix them nicely and cook on low flame. After 2 mins, add the chilly powder and turmeric powder. Add the required salt and mix them well. 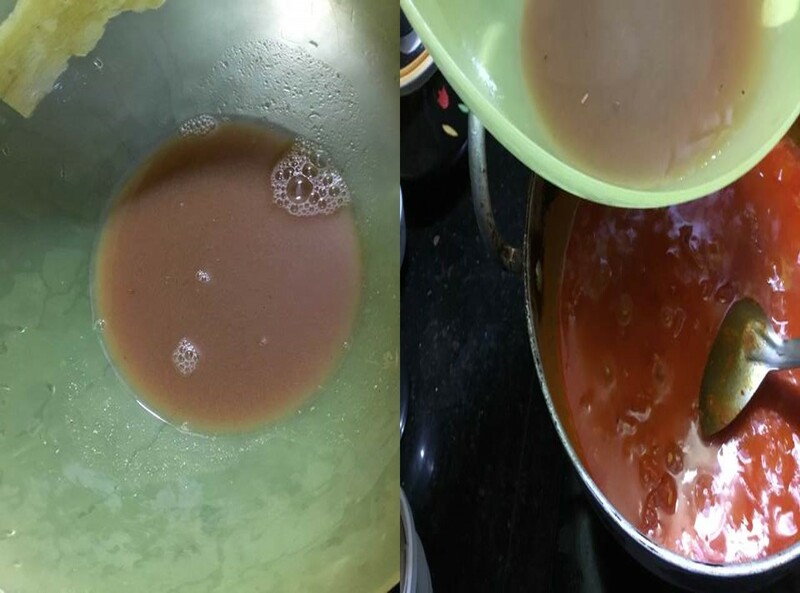 Extract the tamarind pulp with 1/4 cup of water. 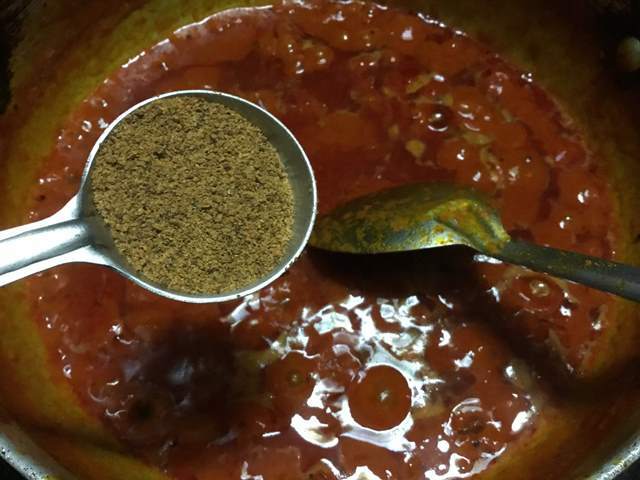 Add the tamarind extract to the thokku and stir it well. Cook them until all the water gets evaporated.Stir in between and cook on medium heat. 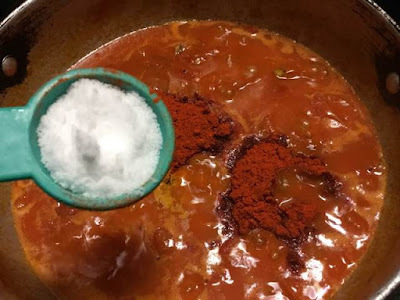 Now add the asafoetida powder. Next, add the powdered jaggery. If you do not prefer a mild sweetness in your thokku you can leave it. When oil starts to leave the sides, add the fenugreek powder and let them cook for a couple of minutes and turn off the heat. Transfer it in a glass bowl or glass bottle. Serve it with chapathi, curd rice and dosas. After 1 or 2 days choose refrigeration to increase the shelf life.